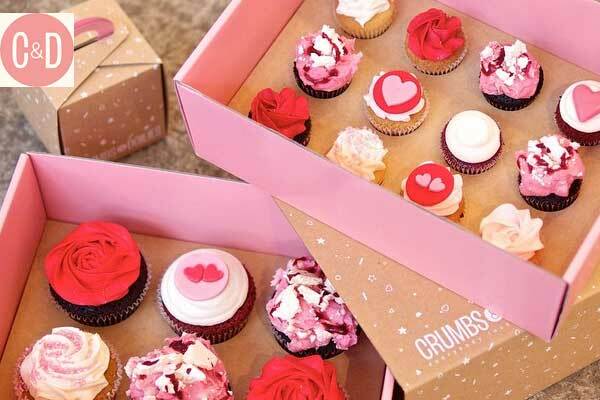 A London-based cupcake company Crumbs & Doilies makes and delivers amazing cupcakes, cakes, brownies, mini wedding cupcakes every day throughout London. You can order online or visit cake shop at 1 Kingly Court Soho. – Big Cakes, Double Stacked Cakes, Bespoke celebration cakes. Crumbs & Doilies offers cupcake delivery in and around central London. Available to order online or over the phone for London delivery or collection. 2 working days notice for cupcakes. 3 working days notice for 6-10″ cakes, bakes & brownies. If ordering for sooner please contact before ordering.